If you have ever been noodling on the idea of home ownership or investment property, now is the time to buy or sell. If you wait much longer, it will be much harder and here are three reasons why. 1. Mortgage rates are rising. The Fed is expected to raise the rate by 0.75% in 2017, probably in phases of three 0.25% increases. It’s predicted that we will have 4.5% to 5% rates by the end of 2017. With the rising cost of homes, buying a home becomes more difficult on a tight budget. If you are a seller, it becomes more difficult to sell the longer you wait, especially if you don’t have an all cash buyer. Even with all cash buyer, they may need a loan if it’s a fixer upper. What is helping to counter balance this rate hike a little is that for the first time since 2006, the Federal Housing Finance Agency (FHFA) has raised the maximum loan limits that will apply to conventional first mortgage loans acquired by Freddie Mac and Fannie Mae in 2017. The limit varies by state and county. Connect with your local lender to get the new limit amounts. After the FHFA announced an increase in conforming loan limits, HUD officials announced an increase in the FHA loan limits for 2017. This was done in response to rising home prices in 2016. Here is the amounts for Orleans and Jefferson Parish. 2. If you are paying rent in this area, you most likely can afford to pay a mortgage. That is unless you wait, see number 1. Every year, your rent raises just a bit. That extra storage unit you have because your apartment is not roomy enough is always raising the storage rate too. Add the two together and you could be paying just as much or less on your own home. Together with the tax write offs you get from owning, you will start getting a refund (or a bigger refund) at the end of the year most likely. I meet a lot of “buyers” that are looking for another place to rent because there current rent is too high. 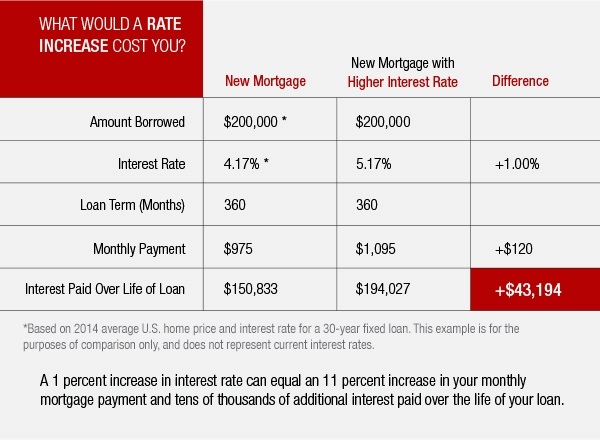 My advice is to talk to a mortgage lender and see how much house you can afford today and lock in your rate. 3. If you are a seller, It’s a great time to start getting the house ready to sell. The selling season will approach quickly as we get into the new year and you want to ready for the buyers that typically come for the Spring – Summer high season, but also because of increase in buyers due to number 1 above. The market is moving, don’t get left behind. With the average time on the market in this area being about 3 months (varies by neighborhood) you don’t want to wait!